Microsoft has announced that it’s launched Office 365 channels on IFTTT’s app connection service, allowing you to to trigger functions in your favorite products, like automatically backing up your photos to OneDrive cloud storage. There are now IFTTT channels for Microsoft’s Mail, OneDrive for Business, Calendar and Contacts. The company has created 30 recipes with triggers from various apps to initiate functions in its own services. Among the list is this useful recipe save iPhone photos taken in a specific location, like a conference or team-building exercise venue, to your OneDrive. There’s also one to remind you to hit the gym if you haven’t met your FitBit step goal by 5PM each day, and another to create a calendar event for following up with a new contact after a week. 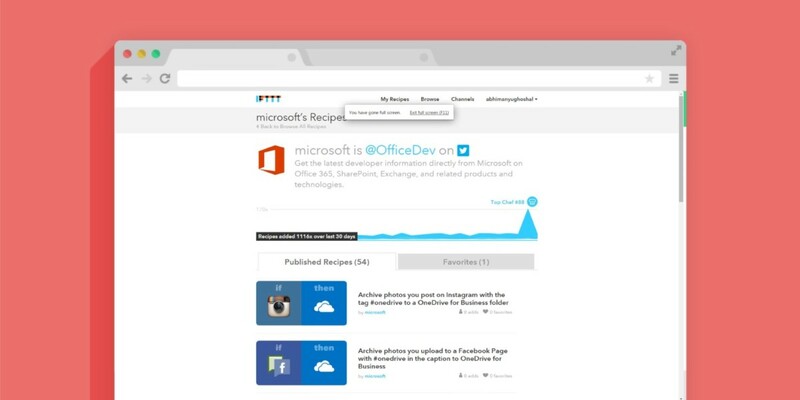 More recipes are available on Microsoft’s IFTTT page.